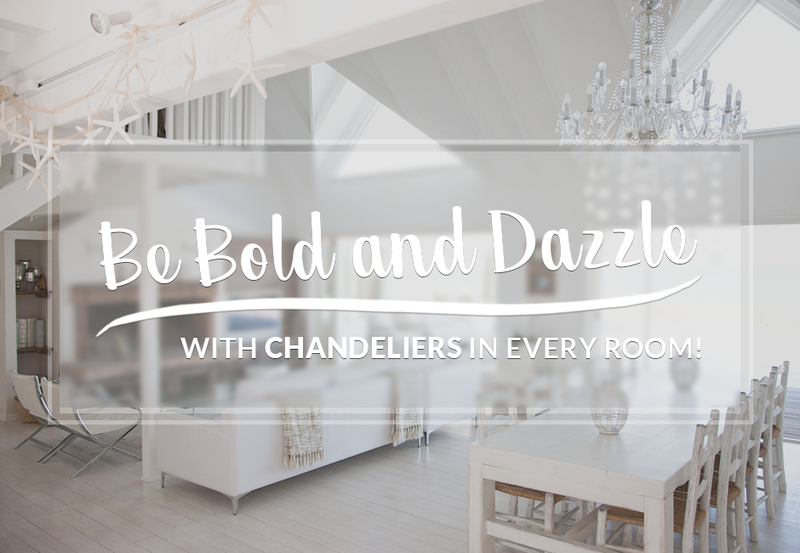 Adding a chandelier to a room is an effortless way to add luxury to your home. But why save fun and fabulous chandeliers for a sitting or dining room when their incredible blend of aesthetics, beauty and glitter is a great fit for any room in the house? Nothing screams statement style like a chandelier. 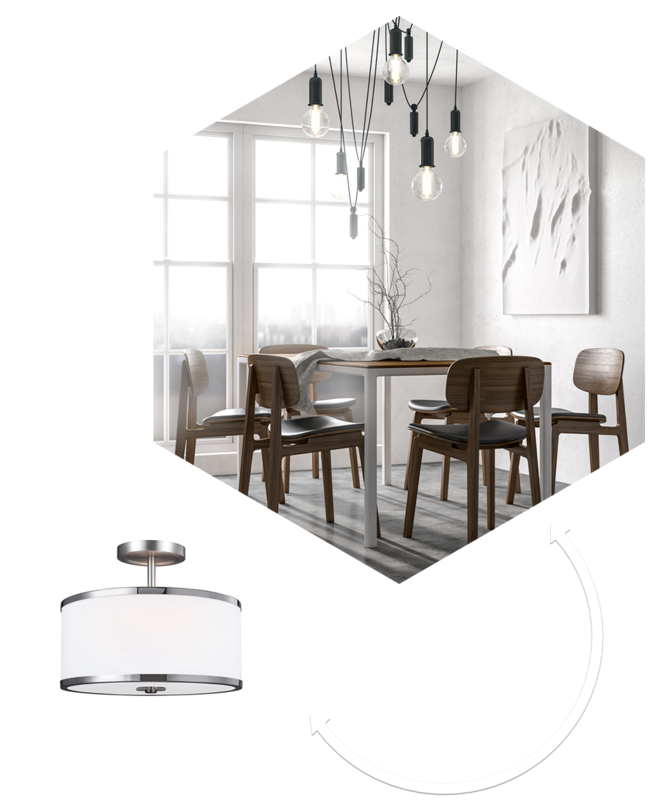 Choose contemporary chandeliers with chic modern styling to add pizazz to a hallway or cheeky chic to a cloakroom. No room is too small not to benefit from the glamour of a chandelier. Even that little guest bedroom tucked under the eaves will sparkle with a petite but beautifully formed pendant light. 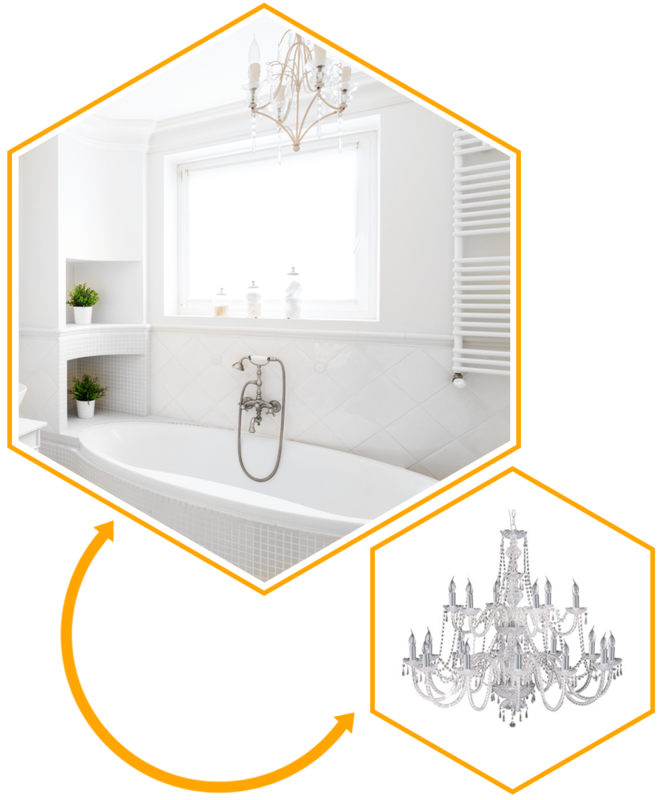 Hanging traditional chandeliers in the family bathroom is a fabulous way to turn a utilitarian space into a luxury retreat in a heartbeat. Channel boutique hotel style by upping the glamour and hanging an extravagant multi-light style chandelier directly over a freestanding bath, or make a low-cost renovation look a million dollars with an outrageous contemporary chandelier that adds a real buzz to an off the peg ceramic suite. There really is nothing like a chandelier to bounce light around a small space and add unparalleled beauty. If you want your bathroom to seem bright, radiant and absolutely luxurious every time you clean your teeth or put on your make-up in the morning then these are the ceiling lights you need. Whether you whip up four-course meals at the drop of a pan lid or microwave leftover takeaway pizza for breakfast, your kitchen is the most important room in your home. 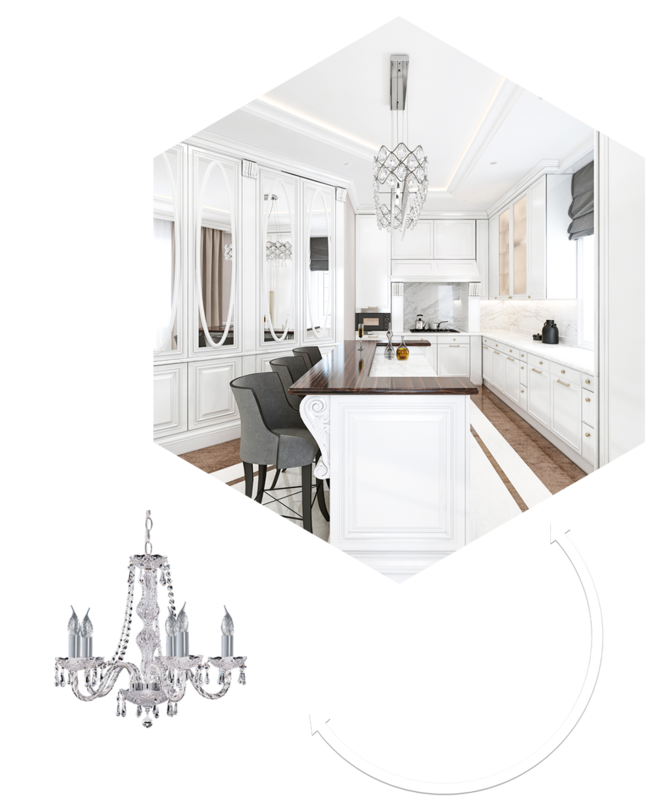 What better way to offset the functionality and, dare we say, dull design of the average kitchen than by hanging one or more huge Georgian chandeliers from the ceiling. It's a stunning way to soften the edges of industrial design or up the glamour in a country kitchen. A chandelier just loves to be the centre of attention, so why not add one to the heart of your home? You'll add effortless style, sophistication and luxury to even the most minimal kitchen when you add a stunning crystal chandelier. Never be afraid to play with scale to add wow factor to your living space, or use colour or contemporary design to add a playful contrast to your interior decor. When you're looking for ceiling lights for any room in the house, always consider a chandelier from Lights 4 Living. 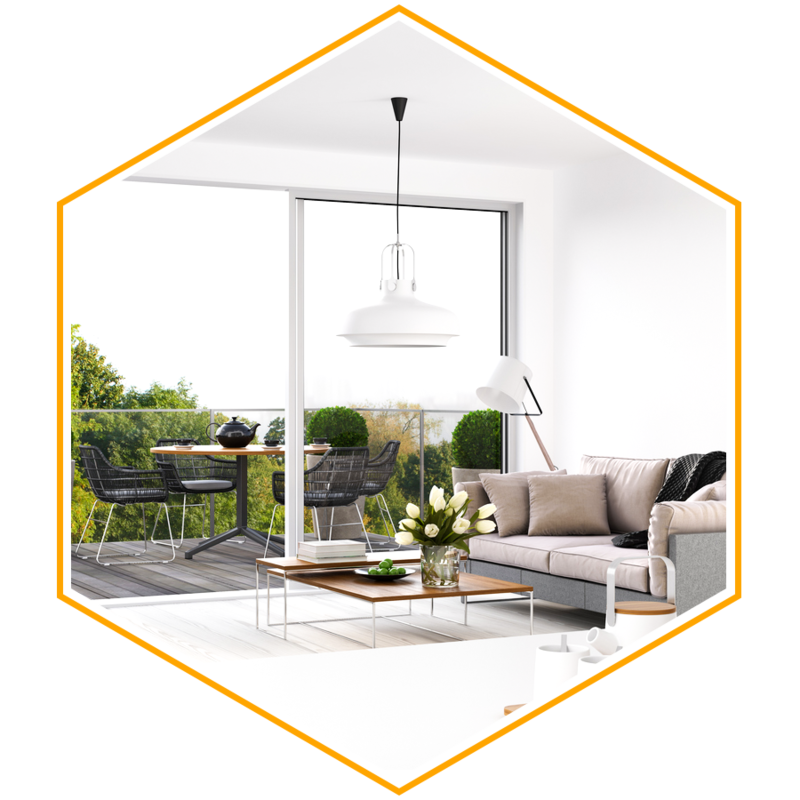 There's a style to suit everyone and no other type of lighting brings such sophistication and luxury to your home.